A number of games were decided by close margins in a competitive weekend on the Championship Men’s side. Indiana Faithfull of the Sydney Comets chalked up a weekend high 32 points in a one-point loss to the Manly Warringah Sea Eagles, 80-79. The fans who packed the Northern Beaches Sports Centre were treated to a high scoring final quarter, in which Manly outpaced Sydney 32-31. The Comets drop to 0-2, while Manly gets their first win. American Import Taj Spencer exploded onto the scene as his Sutherland Sharks squeaked by the Maitland Mustangs, 69-68. Spencer scored 25 points with 75% shooting & secured 17 rebounds. His pick & roll running mate Lochlan Hutchison paced the Sharks, recording 15 points, seven rebounds, and eight assists. The Central Coast Crusaders cruised over the Canberra Gunners, 74-59. Mitchell Reuter continued a consistent campaign, as the big man grabbed a consecutive 20 point double-double with 26 points and 11 rebounds. The Crusaders pick up a second win to stay undefeated and mark their territory at the top of the ladder. Central Coast are joined by the Norths Bears and Penrith Panthers atop the ladder, all unbeaten at 2-0 after the second weekend of competition. This round featured variable competitions with a number of athletes showcasing standout performances. The closest game saw the Bankstown Bruins beat the Hornsby Ku Ring Gai Spiders, 68-63. Briana Maimone was the top scorer for her Bruins, accumulating 24 points, seven rebounds and three assists along with teammate Tasmyn Haynes who also counted a cool 19 points. Bankstown secured a second straight win standing at 2-0. Canberra Nationals’ talented roster proved far too tough for the Central Coast Crusaders, 90-39. The Nationals jumped ahead early with a 32-7 first quarter, nearly the amount Central Coast scored all game. Former Australian Olympic 3×3 Representative, Hannah Kaser was strong adding 20 points along with a stout defensive effort, recording six rebounds, five steals and two blocks. A strong Newcastle Hunters side defeated Penrith Panthers 92-55. Multiple Hunters submitted strong performances; Jaimee Seebohm secured 15 points, 10 rebounds, five assists and two steals, while Hannah Young scored a team-high of 24 points, eight rebounds. Following the conclusion of the second round, Bankstown Bruins, Sutherland Sharks and Newcastle Hunters sit atop the Championship Women’s side at 2-0 a piece. The Shoalhaven Tigers just edged out the Canberra Gunners Academy, 81-79. This game featured a clash of two thirty point scorers; Will Mayfield accounted for 32 points for the losing side while Tigers’ Bruce Ozolins dropped 31 points. 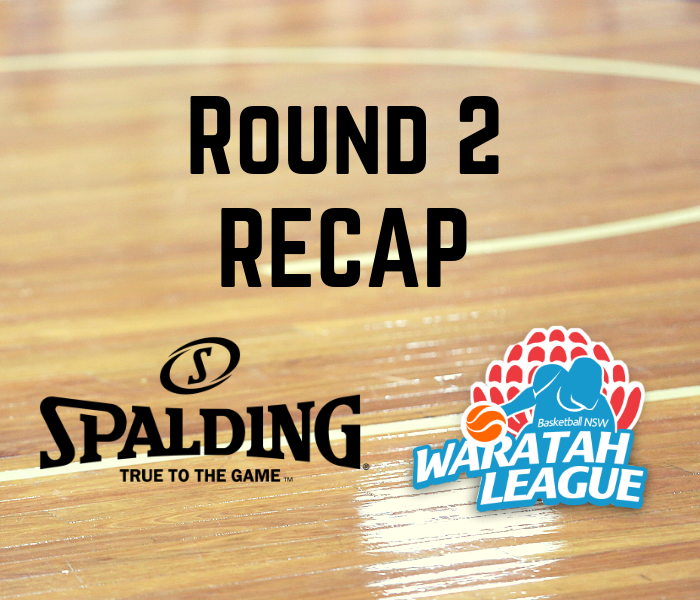 Shoalhaven improves to 2-0, while Canberra still hasn’t found a win. The Lithgow Lazers blasted out of the gates in their first game, discharging Dubbo Rams, 99-79. Lazer Drelan Tripplett converted 38 points including five three-pointers, while Rams’ big man Rob Dewar fought off the opposition with 35 points of his own. The Blacktown Storm triumphed over the Bankstown Bruins, 73-60. Top scorer of the match Hayden Blankley led the charge for his Storm, piling up 27 points. Bankstown led a balanced attack but ultimately faltered, however four players earned double figures: Sean Trostel and Bosko Djurovic both had 14, while Vishaal Behari and Jason Khattar equally scored 11. Penrith Panthers’ Joshua Shephard and Newcastle Hunters’ Jakob Dorricott dueled in a match that would ultimately see Shephard’s Panthers prevail, 84-76. Dorricott dropped 25, not to be outdone by Shephard’s 27 points. Blacktown and Penrith both sit atop the league with the likes of the Sydney Comets and Illawarra Hawks with unblemished records. In the most contested game of the division, the Hornsby Ku Ring Gai Spiders surpassed the Bankstown Bruins, 71-62. Kira Mocotta tallied a division-high 28 points, backed up by her teammate Erica Pitman’s 18. The highest margin saw the Newcastle Hunters down the Penrith Panthers 76-33. Hunters’ Rachel McGinniskin and Emily Crampton were twin 24-point-scorers for their squad in the win. Hawkesbury Jets fell in round two to a strong Newcastle Hunters side, 86-59. Newcastle’s Trace Evans has the most match points in Division Two so far with 56, including his 35 from this weekend’s competition. Evans’ high-point totals have led the way for a 2-0 start for his Hunters. In Albury’s first contest of the season, they claimed victory over the Camden Valley Wildfire in a close score of 64-61. Harry Gibbs scored 18 of his 21 points from three-point land, while his teammates Mitchell Donovan and Bailey Lloyd backed him up with 16 and 13 respectively. For Camden Valley, Einer Thompson and Abdullah Amini both registered 14 points.